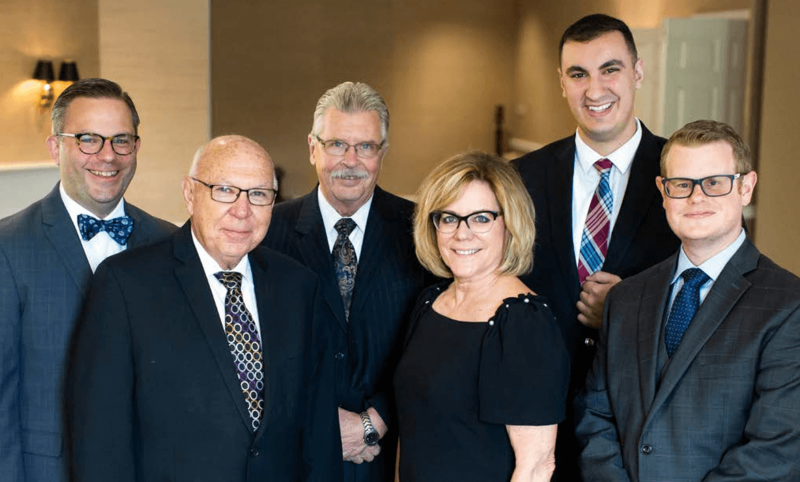 Since 1927, the family and staff of Ferfolia Funeral Home has taken pride in providing personal,caring service to families in their time of need.With this in mind, we offer services that are designed to fit your needs. 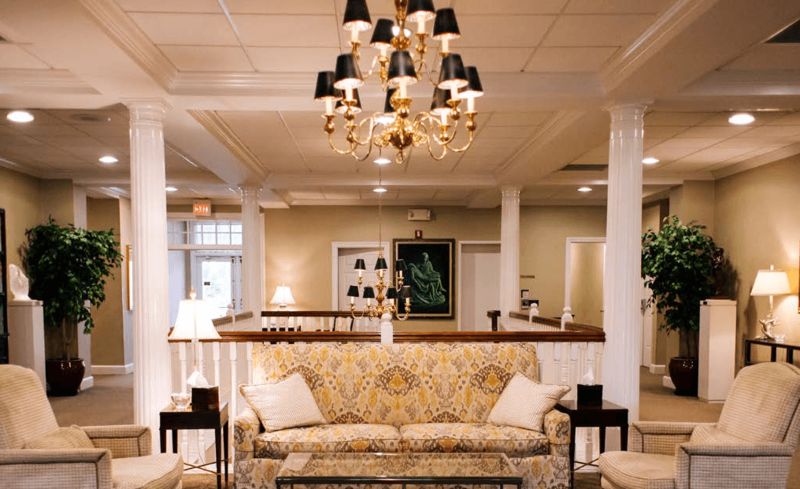 Each service arranged by the funeral directors at Ferfolia Funeral Home is planned to reflect your family’s wishes and pay tribute to the memory of your loved one. Working with the philosophy that every family has individual needs and preferences and that we must respond to and respect their wishes. Louis built one of Cleveland’s first homes specifically designed for funerals in 1936, incorporating the trail blazing concept of catering facilities within the funeral home. In 1950 Louis’ son, Donald joined the business and the Ferfolia reputation grew. Beforelong they were looking to expand and in 1970 a second location was built in Maple Heights. The addition of Donald’s children Donald B. Sr., and Mary Ferfolia Lansky addeda third generation to the business. 1994 brought the opening of a state of the art facility in Sagamore Hills bringing bereavement services and support to our families, headed by Donald’s wife Alice M. Ferfolia. As we have grown, so has the addition of a fourth generation, DonaldB. Ferfolia Jr., and Allyson Newell Binekey and Jeffery Lansky joining the family in business. The personal touch is still the cornerstone of our business. It always will be. Our job is not to just arrange and direct a funeral. It is to explore,guard and completely carry out the wishes of the family to celebrate their loved one’s life. We are proud that so many have turned to us in their time of need. 91 years and four generations of family later we are committed to continue to provide the finest of funeral services to our families. 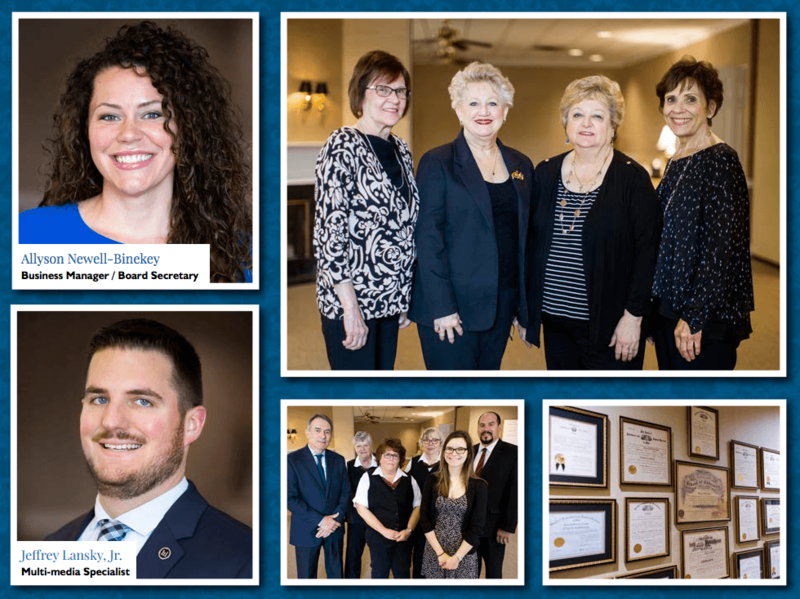 We are members of the International Cemetery,Cremation and Funeral Association, National Funeral Directors Association, Ohio Funeral Directors Association, Cuyahoga Funeral Directors Association and Foresight Family Funeral Homes. We treat people like we’d like to be treated. 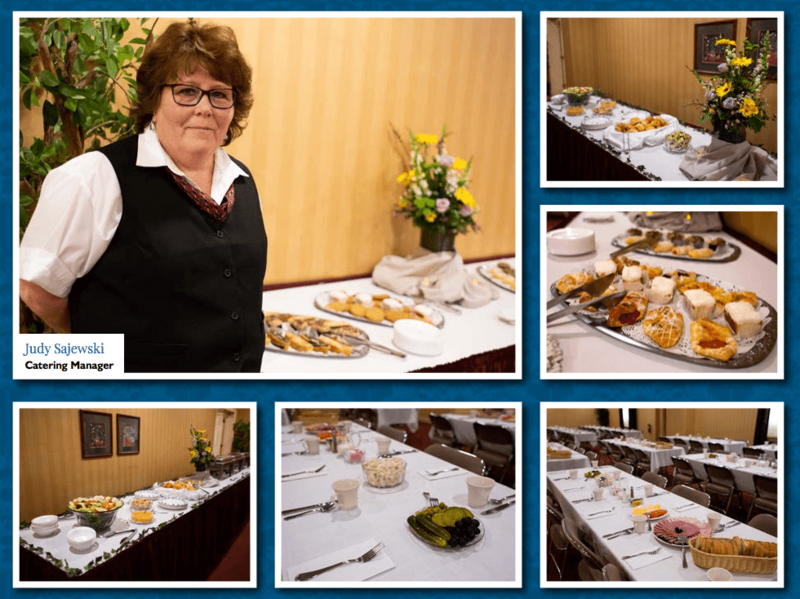 Mary resides in Aurora and has four children.Allyson Newell Binekey who is the Business Manager for the funeral home. Megan Flyer,Colleen Newell and Jeffrey Lansky who heads up the multi-media department for Ferfolia Funeral Home. While caring for families at the funeral home,Don continued his education at the University of Akron and earned his Law Degree in 2007.He was admitted to the Ohio Bar in 2007 and focuses his legal work on assisting families when settling a loved ones’ affairs, adding a unique dimension of service to families served by Ferfolia Funeral Home. Don also enjoys speaking to the community on topics that deal with funeral service and the legal questions surrounding the death of a loved one. Don and his wife Dawn are active members of St. Basil the Great Catholic Church in Brecksville.When not at the funeral home, Don and Dawn enjoy spending summer evenings and weekends following the Cleveland Indians and trying to figure out whether they rescued their two dogs or their dogs rescued them! 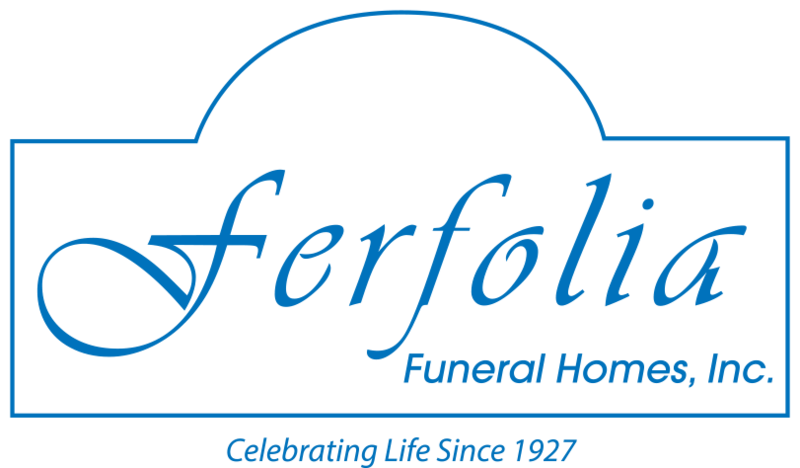 Better known as “Wally” is a Licensed Funeral Director at Ferfolia Funeral Home since 1999. Wally began working at the funeral home in 1994 as a funeral assistant and became a funeral director’s apprentice in 1997. Prior to working at the funeral home, Wally worked with his father at Economy Floor and Wallcovering on Broadway in the Slavic Village neighborhood. He also taught English and Philosophy at Chanel High School in Bedford,Ohio. He attended St. Therese Grade School in Garfield Hts. where he grew up with his parents Walter and Eleanor, sister Patricia and brotherRalph. He attended Chanel High School and graduated from John Carroll University. Wally has been involved in music most of his life singing at St. Therese Church as youngster, then the band at Chanel High School. He led his own band performing at many weddings, dances,and parties for nearly 40 years before retiring from the band. He presently is the Director of Music and Liturgy, Choir Director and Cantorat Ss. Cosmas & Damian Catholic Church in Twinsburg, Ohio. Wally presently lives in Twinsburg with Darlene,his wife of 40 years. Darlene has been a Pastoral Minister in the Cleveland Diocese for 36 years and is presently ministering at St. Victor Parish.Walter and Darlene’s family consists of two daughters Melissa with her husband Scott Gardner, their daughters Mackenzie and Isabelle of Ravenna Twp., and Sara with her husband Jason Clancy with their sons Liam and Quinn of Fairlawn. Wally and Darlene enjoy cruising wherever the boat takes them. They also sharea deep love of liturgical music often ministering together musically at masses, weddings and funerals throughout the Cleveland Diocese. 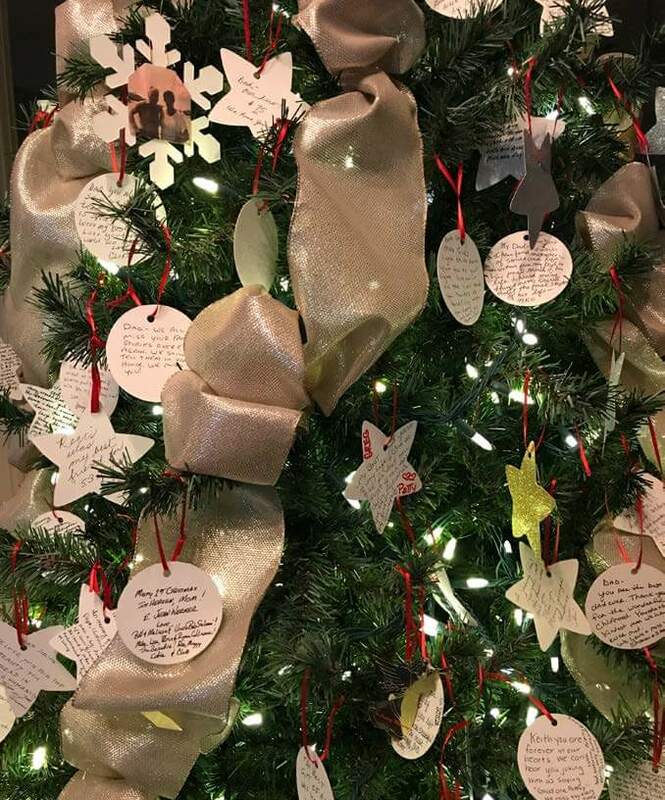 Walter has a sincere desire to help those in need,especially people who have suffered a deep loss in their lives by helping them through the difficult days following the death of a spouse, a parent, a child or a friend. Kyle is currently a funeral director and embalmer at Ferfolia Funeral Home. He resides in Sagamore Hills, with his fiancee, Leah, and their dog, Charlie. In his spare time he likes to boat on Lake Erie, gofishing and take trips to Kelleys Island. Kyle enjoys all things food, whether cooking at home for his fiancee and their dog, or trying something new on an adventurous night out. Most importantly,Kyle is dedicated to his vocation of guiding families through the difficult and emotional experience of personal loss. Christian, 25, has been serving at Ferfolia for three years,and is currently completing his apprenticeship. Originally a Brecksville resident, Christian attended Brecksville Broadview Heights High School. He then attended John Carroll University, where he studied Cell and Molecular Biology as well as Chemistry, graduating with Honors. It was also during his time at JCU when Christian joined the Knights of Columbus, helped reactivate Council 8320, and became a Fourth Degree Sir Knight. Pre-planning your funeral will make certain that your choices are respected and carried out, without leaving your family to wonder what your wishes might have been.You also have the option of paying for your funeral in advance; this locks-in the cost of the funeral at today’s prices. When you’re ready to make a real plan, contact us and we will have one of our pre-planning counselors call you to set up an appointment. There are many different ways to begin the planning ahead conversation. You know your family and how your loved ones might best respond to the topic. For some families, it might be a casual conversation over dinner or another family gathering; for other families, a formal meeting might be better suited. Regardless of your approach, the conversation is much easier to have when death is not imminent. Bringing up the subject with loved ones earlier in life when they are younger and most likely healthier, makes the topic easier to discuss and keeps the focus on the celebration of life rather than an impending loss. Set a time to have the conversation; schedule it as an appointment with your loved ones,whether you want to share your plans with them or ask them to make their plans to share with you. Take advantage of funeral-related opportunities. Attending the funeral of a friend, family member, or colleague, or watching a movie or television show with funeral scenes, may naturally prompt the discussion with your own loved ones. Talkabout what you liked or didn’t like about the services you saw or attended. Tell your children or loved ones that because you care for them so much, you don’t want to burden them with difficult decisions when you’re gone. Tell them you’ve made your own final arrangements and give them a written record of what they are. Make your funeral and cemetery plans with us and then wrap a copy of your contract and wishes in a gift box and present it to your children. In the wake of that loss, it’s not easy making financial decisions – but you don’t have to make them alone. My team can assist in coordinating a group of professional advisors who put your interests first. The result is a comprehensive financial plan that helps give you the confidence that your goals are within reach. Knowing where to begin is challenging at best. I’m here to listen to your concerns and help guide you through the process. Please call me for a complimentary consultation. I wanted to spare you as much anxiety, doubt, and confusion as possible at the time of my death, so in this section I have suggested some arrangements in advance. This section includes vital statistics, funeral service guidelines, and cemetery requests, which are all important to the funeral director while assisting you to plan the details of my service. The section also includes more personal material for eulogies, obituaries and other remembrances. Please accept these arrangements in the spirit they are given; with love, hoping to give you comfort and help you to remember the times we shared. The following are my wishes regarding my final resting place. Property, Crypt, or Niche Owned? Special Interests, Hobbies, and Pets, etc. Favorite color, flower, food, etc. Most people are familiar with theconcept of burial, or “interment,”but may not be aware of the varietyof options that are often available. Ground Burial: Burial of the casket belowground. A “vault” or “outer burial container”is required at many cemeteries. Mausoleum, or Community Mausoleum: A large building that provides above-ground entombments. Private Family Mausoleum: A small structure that provides above-ground entombment of, on average, two to twelve decedents. Companion Crypt: Permits two interments or entombments side-by-side. Opening and closing fees can include up to andbeyond 50 separate services provided by the cemetery. Typically, the opening and closing fee includes administration and permanent recordkeeping (determining ownership, obtaining permission and the completion of other documentation which may be required, entering the interment particulars in the interment register,maintaining all legal files); opening and closing the grave (locating the grave and laying out the boundaries, excavating and filling the interment space); installation and removal of the lowering device; placement and removal of artificial grass dressing and coco-matting at the gravesite,leveling, tamping, re-grading and sodding the gravesite and leveling and re-sodding the grave if the earth settles. To remember and to be remembered are natural human needs. A permanent memorial in a cemetery provides a focal point for remembrance and memorializing the deceased. Throughout human history, memorialization of the dead has been a key component of almost every culture. 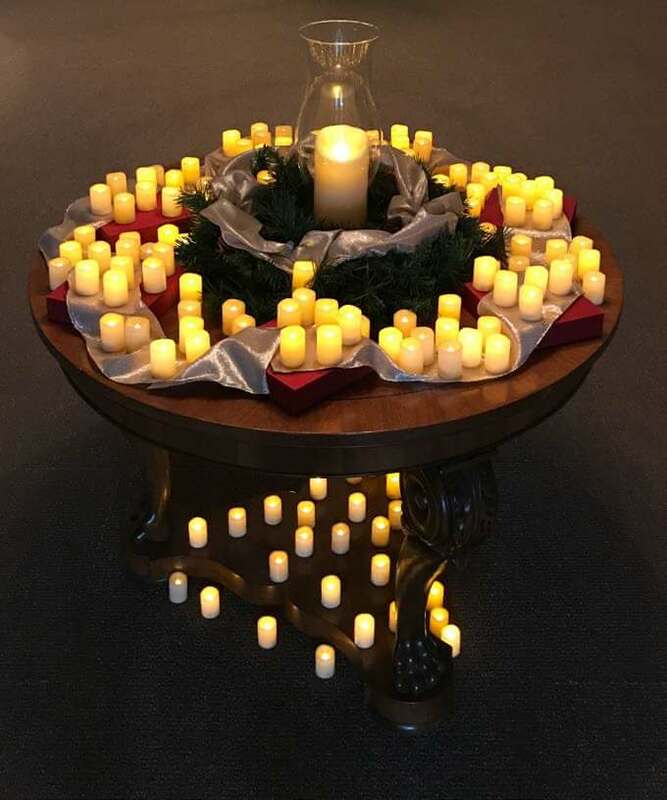 Psychologists say that remembrance practices, from the funeral or memorial service to permanent memorialization,serve an important emotional function for survivors by helping them bring closure and allowing the healing process to begin. 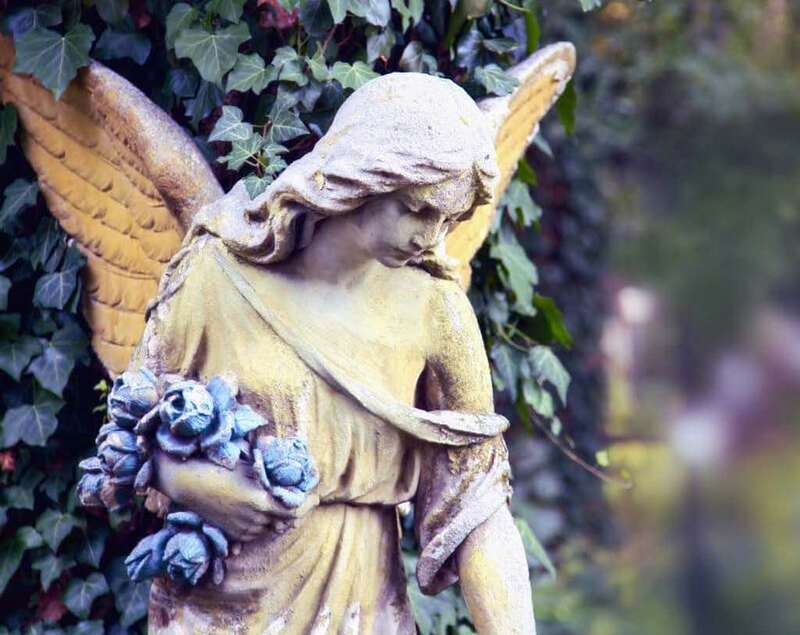 Providing a permanent resting place for the deceased isa dignified treatment for a loved one’s mortal remains, which fulfills the natural human desire for memorialization. There is no law that states a specific time from for burial. Considerations that will affect timeline include the need to secure all permits and authorizations, notification of family and friends,preparation of cemetery site and religious considerations. Public health laws may have limitations on the maximum length of time allowed to pass prior to final disposition. Contactus for more details. No. Embalming is a choice which depends on factors like if there is to be an open casket viewing of the body or if there is to be an extended time between death and interment. Public health laws may require embalming if the body is going to be transported by air or rail. Besides ground burial, some cemeteries offerinterment in lawn crypts or entombment in mausoleums. In addition, most cemeteries provide choices for those who have selected cremation. These often include placement of cremated remains in a niche of a columbarium or interment in an urn space. These are the outside containers into which the casket is placed. Burial vaults are designed to protect the casket and may be made of a variety or combination of materials including concrete,stainless steel, galvanized steel, copper, bronze, plastic or fiberglass. A grave liner is a lightweight version of a vault which simply keeps the grave surface from sinking in. Many people overlook the importance of cemetery property for those who choose cremation, but permanent placement, or “final disposition,” of the ashes or “cremated remains” is an important part of final arrangements. The ceremony accompanying the placement of an urn in a cremation niche or a cremation garden in a cemetery provides family and friends with closure after the loss of a loved one. 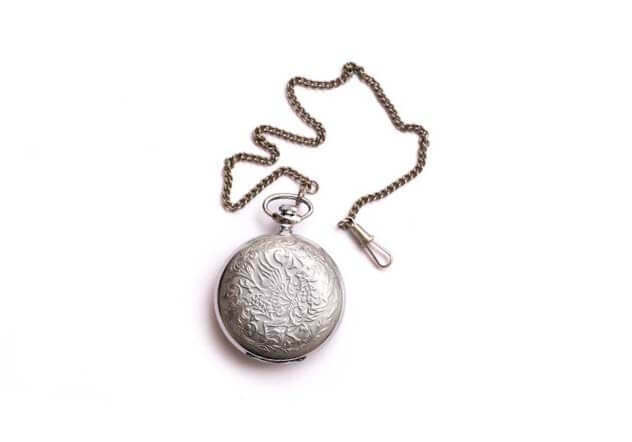 When ashes of a loved one are kept with relatives, they can easily become misplaced or discarded through the years, as future generations may not feel a connection to the deceased. A permanent placement provides future generations with a location to visit when researching heritage. Cremation Niche: An above-ground space to accommodate a cremation urn. Columbarium: Often located within a mausoleum or chapel and constructed of numerous niches designed to hold urns. Cremation Garden: A dedicated section of a cemetery designed for the burial, scattering, or other permanent placement of ashes. Memorial Benches: Benches that either simply memorialize a loved one scattered or buried in a cremation garden, or actually contain the remains within. Headstones: Some cemeteries allow upright headstones, called “monuments,” to be used with ground burials. Headstones that are flat against the ground are called “markers.” In some cemeteries or sections of cemeteries, only flat markers are used to preserve the natural appearance of the landscape. Cremation is a process of reducing the body to bone fragments by applying intense heat for a period of two to three hours. The cremated remains, which are commonly referred to as “ashes,” are removed from the cremation chamber. They are then processed into finer fragments and placed in a temporary container. The ashes typically weigh between three and six pounds. An urn may be selected for the final disposition of the cremated remains. Where does cremation take place? Cremations occur at a crematorium in a special furnace called a cremation chamber or retort. Regulations allow only one cremation at a time. A casket is not required however, law states that at a minimum, the deceased must be placed into a rigid combustible container. Many options of caskets and containers are available to you. Many personal items may be placed in the casket. However, some items may need to be removed prior to the cremation process. All items left in the casket will be destroyed during the cremation. Your funeral director can advise you on what items may stay and what items must be removed from the casket. Cremation does not limit the type of funeral service that may be chosen. The same options that apply to earth burial are available with cremation. 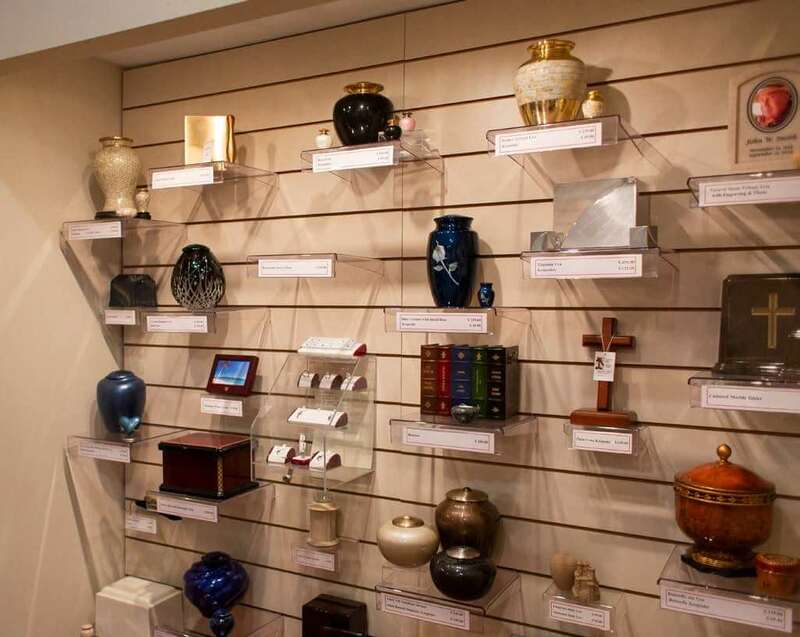 Some of these choices include: casket type, location of the service and visitation, music selection, open or closed casket, and the display of personal mementos. 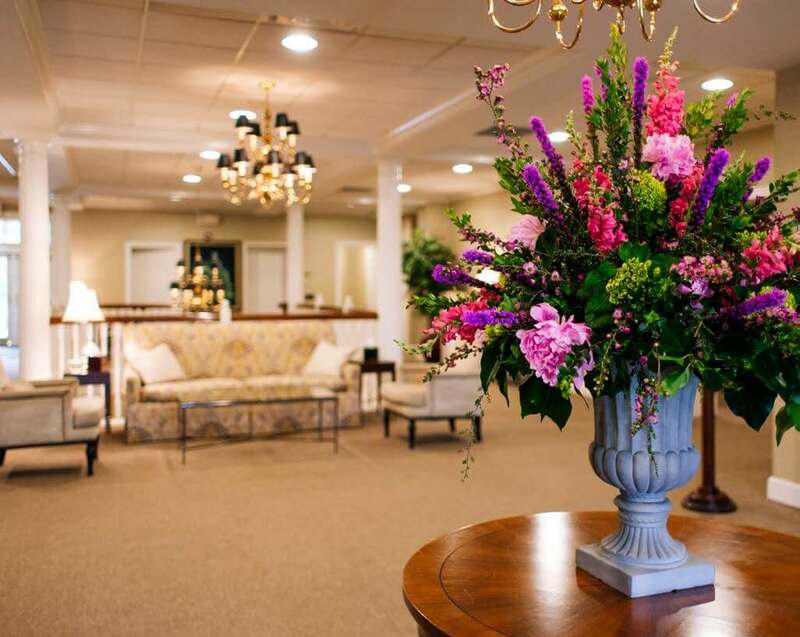 Some families elect to have a complete service at the funeral home or place of worship. Others prefer to have a procession to the crematorium similar to that often done to the cemetery for an earth burial. Embalming is not mandatory however, some circumstances may require it. If you prefer an open casket with a visitation prior to the service, embalming is highly recommended. An urn is a container designed to hold cremated remains permanently. It may be constructed from a variety of materials such as wood, bronze, copper, steel, pewter, granite, marble, clay pottery, or fine porcelain. We have a large selection of urns available designed to reflect the lifestyle of an individual. Urns may also be personalized by engraving. Urns also come in a variety of sizes that allow more than one member of the family to have a portion of the cremated remains. The cremated remains may be buried in an existing cemetery plot or a new plot may be purchased. The urn may be placed in a niche in an above ground structure called a columbarium. Some cemeteries have scattering areas on their property. Cremated remains may be scattered on private or public property if authorization is obtained. Properties may be bought and sold so it is important to know that once the scattering takes place, the cremated remains are irretrievable. Scattering on either public or private property may offend some people and there may be laws prohibiting such action. You may wish for the cremated remains to be shipped to another country. We can look after these arrangements for you. You may also be permitted to take the cremated remains yourself to another country. Check with us first and we can assist you to obtain any additional documentation that may be required. Many people still prefer to have the urn at home with them. 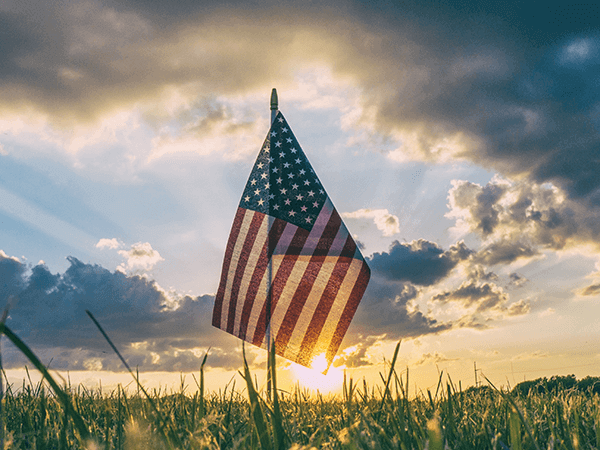 The basic Military Funeral Honors (MFH) ceremony consists of the folding and presentation of the United States flag to the veterans’ family and the playing of Taps. The ceremony is performed by a funeral honors detail consisting of at least two members of the Armed Forces. At least one of the funeral honors detail will be from the Armed Force in which the deceased veteran served. Taps may be played by a bugler or, if a bugler is not available, by using a quality recorded version. Military Funeral Honor Teams may act as pallbearers if requested by the veteran/family. Honor, recognize, and celebrate the life of the deceased. Allow friends and family to say their last goodbyes. 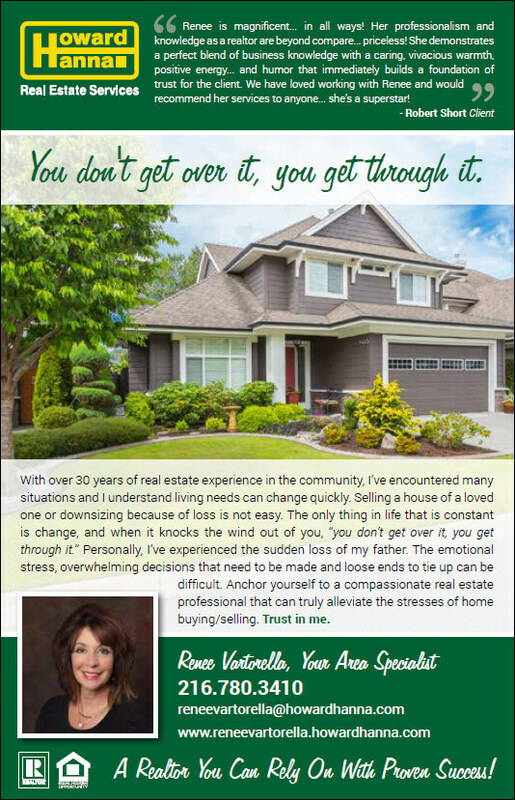 Provide closure after the loss of a loved one. Allow friends to console the family of the loved one. When considering final arrangements for yourself or a loved one, one of the first decisions you might make is whether you prefer burial or cremation. This decision often influences other important considerations such as elements of the funeral service and type of cemetery property. Held the night before or immediately prior tothe funeral service, the visitation - also called a wake or a viewing - provides a way for friends and acquaintances to pay respects and offer condolences to your family. As with the funeral service, you may want to decide if you want an open or closed casket should one be present. 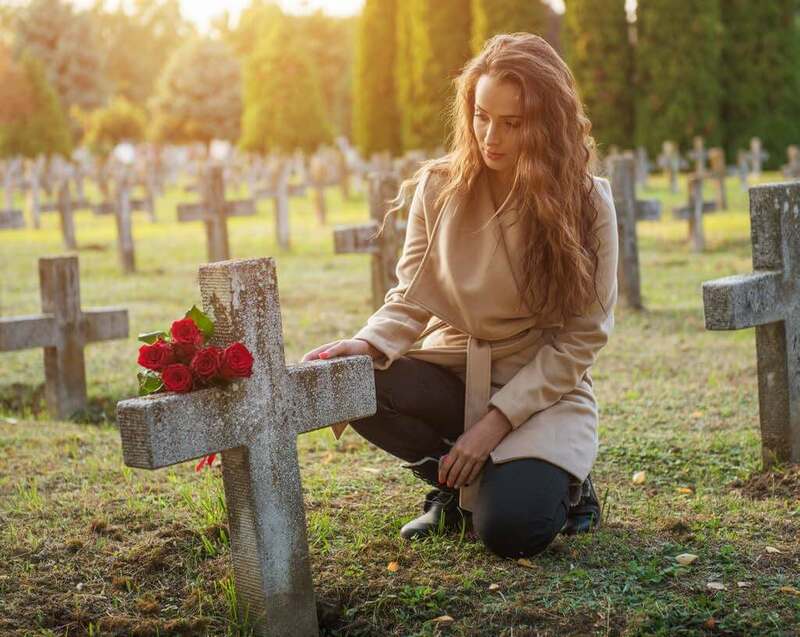 As its name implies, a graveside service may be held at the gravesite just prior to burial of a casket or urn and usually consists of final remarks, prayers, or memories. The service may occur after or in place of a funeral service. There’s no one, right way to plan a funeral service, we believe that each funeral should be as unique and memorable as the life it honors. When planning your own funeral service in advance, think about the way you want to be remembered. Perhaps you’d like a traditional funeral aligned with certain religious or ethnic customs? 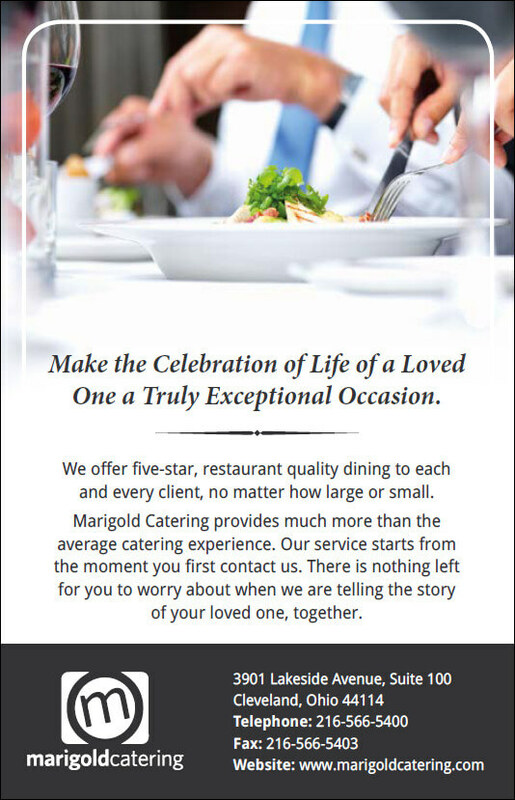 Or, a celebration focusing on great memories made with family and friends may be your preference. Maybe it’s a combination of both. You can have one service, or several, to honor your life. Where should the funeral be held? At your place of worship? At the funeral home? Will your service adhere to the traditions of your faith or culture? Do you want a eulogy, and who should deliver it? Would you like an open or closed casket? What music should be played? What readings would you like to have read? Is there a special poem you’d like shared with the guests? 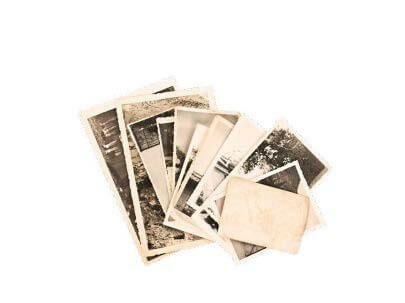 Are there any special photographs or other memorabilia you would like displayed? Should the décor reflect a particular hobby or interest of yours, such as fishing, gardening, or music? Is there a particular emblem or engraving you want on your headstone or marker? Should there be refreshments served or a more elaborate party held after the service? In addition to funeral services and the choice of burial or cremation, cemetery property, or“interment rights,” is another consideration when you’re making final arrangements, either for yourself in advance, or for a loved one. A common misconception that people often have when they purchase the right of interment in a cemetery is that they have purchased the land itself, when in fact what they have really purchased is the right to be interred (also referred to as buried, entombed, enniched or placed) on or in that particular piece of property. The funeral home to arrange for the transfer of the deceased (usually this can be done within 1-2 hours although it may take longer to obtain a release from the hospital) and set an appointment with you to make further arrangements. Employers (the employer of the deceased and relatives who will need time off). Insurance agents (life, health, and accident). Religious, fraternal, civic and veterans’ organizations, and unions, if applicable. identified by “Also Known As” (AKA). Name of business or employer’s name, address, and telephone number. Mother’s name, maiden name, and birthplace. Clothing that the deceased will be buried or cremated in. Whether your loved one is to be buried,cremated, or entombed. The funeral director will ask if you have made any arrangements with a cemetery or crematorium. If you have not done this, you will need to visit the cemetery. Service details: Would you like a visitation period, formal service, a reception? Whether a member of the clergy will be engaged for the service. Pallbearers, music, pictures, flowers, scripture, or other readings. If you would like a charity to receive donations in lieu of flowers. Whether you would prefer cremation or casket burial or entombment (if you haven’t already decided). Would you like to use our chapel for a short service prior to the cremation? What type of final resting place you would prefer for your loved one? Choice of burial, above-ground niches, or scattering of cremated remains. Would you like other members of the family to be with your loved one in the future? This determines the size of the resting place. What type of memorial do you prefer? 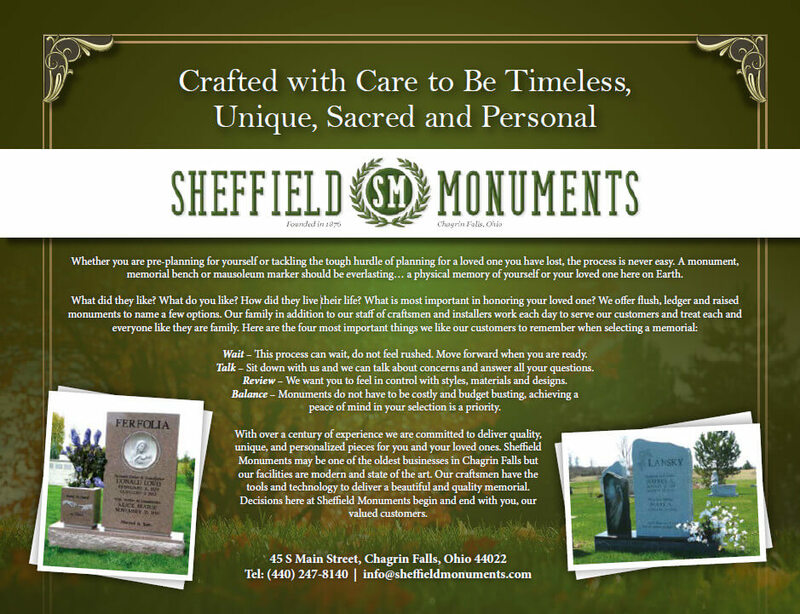 Choice of bronze or granite marker set flush with the ground or an upright memorial etc. Would you like to protect your loved one’s urn with a concrete vault? Would you like the niche to be inside a building or outside? What type of material would you like the niche to be constructed from? Granite or bronze are choices for outdoor niches and marble or glass are choices for indoor. Would you like to be present for the scattering? Would you like a memorial to be placed in the area? Would you like other members of the family to be with your loved one in the future? This determines the size of the lot. What type of memorial do you prefer? Choice of a marker set flush with the ground or an upright memorial. 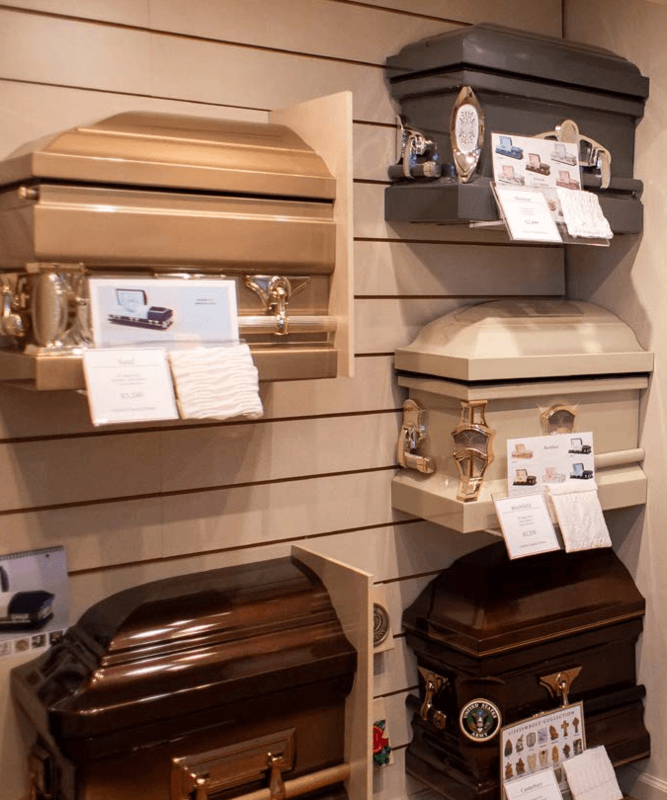 Would you like to protect your loved one’s casket with a concrete vault? What type of presentation would you prefer for the burial service? E.g. a tent canopy, chairs, mats leading to the grave etc. Would you like other members of the family to be with your loved one in the future? This determines the size of the crypt. What type of memorial package would you prefer? Choice of flower vase and memorial lights etc. Funeral arrangements, including clergy, florist, and transportation. Current and urgent bills (i.e. mortgage, rent, taxes, telephone, etc.). Legal proof of age or birth certificate. Income tax returns, receipts, or canceled checks. We have extensive experience shipping caskets to other countries for burial. If you require international transportation, please advise us as soon as the death has occurred so we can begin making arrangements with the appropriate authorities. Please be advised that complying with the requirements of other jurisdictions takes time - a minimum of one week, often longer. You may need a dozen certified death records to complete upcoming tasks, though some will require less expensive copies. 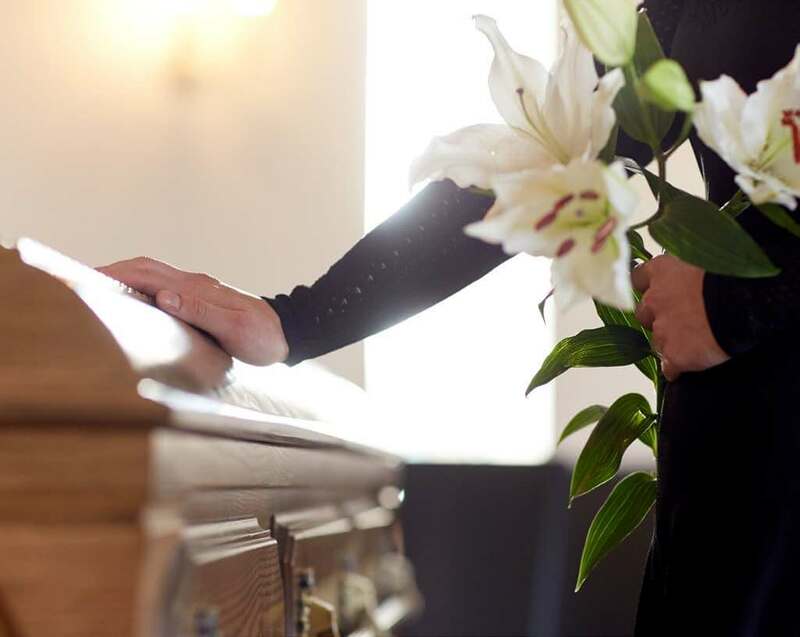 Your funeral director may help you handle this or you can order them from the vital statistics office in the state where the death occurred or from the city hall or other local records office. Each certified record will cost around of $10 or $20. From the contact list that you acquired earlier, send thank you notes and acknowledgments. Consider delegating this task to a family member. Typically the funeral director will notify Social Security of your loved one’s death. If not, call 1-800-772-1213 or contact your local office. If your loved one was receiving benefits, they must stop because over payments will require complicated repayment. Even a payment received for the month of death may need to be returned. If the deceased has a surviving spouse or dependents, ask about their eligibility for increased personal benefits and about a onetime payment of $255 to the survivor. If your loved one received Medicare, Social Security will inform the program of the death. If the deceased had been enrolled in Medicare Prescription Drug Coverage (Part D), Medicare Advantage plan or had a Medigap policy, contact these plans at the phone numbers provided on each plan membership card to cancel the insurance. If the deceased was working, contact the employer for information about pension plan, credit unions and union death benefits. You will need a death certificate for each claim. Notify the health insurance company or the deceased’s employer. End coverage for the deceased, but be sure coverage for any dependents continues if needed. If your loved one had life insurance, appropriate claim forms will need to be filed. You will need to provide the policy numbers and a death certificate. If the deceased was listed as a beneficiary on a policy, arrange to have the name removed. Contact the providers. That could include homeowner’s, automobile and so forth. Claim forms will require a copy of the death certificate. Share the list with the executor or estate administrator so that bills can be paid promptly. ▢ Contact Financial Advisers, Stockbrokers, etc. Determine the beneficiary listed on these accounts. Depending on the type of asset, the beneficiary may get access to the account or benefit by simply filling out appropriate forms and providing a copy of the death certificate. If that’s the case, the executor wouldn’t need to be involved. If there are complications, the executor could be called upon to help out. For each account, call the customer service phone number on the credit card, monthly statement or issuer’s website. Let the agent know that you would like to close the account of a deceased relative. Upon request, submit a copy of the death certificate by fax or email. If that’s not possible, send the document by registered mail with return receipt requested. Once the company receives the certificate, it will close the account as of the date of death. If an agent doesn’t offer to waive interest or fees after that date, be sure to ask. Keep records of the accounts you close and notify the executor of the estate about outstanding debts. To minimize the chance of identity theft, provide copies of the death certificate to the three major firms - Equifax, Experian and TransUnion - as soon as possible so the account is flagged. Four to six weeks later, check the deceased’s credit history to ensure no fraudulent accounts have been opened. Clearing the driver’s license record will remove the deceased’s name from the records of the department of motor vehicles and help prevent identity theft. Contact the state department of motor vehicle for exact instructions. You may have to visit a customer-service center or mail documentation. Either way, you’ll need a copy of the death certificate. It’s a good idea to close social media and other online accounts to avoid fraud or identity theft. The procedures for each website will vary. For instance, Google Mail (Gmail) will ask you to provide a death certificate, a photocopy of your driver’s license and other detailed information. Reach out to sororities, fraternities, professional organizations, etc., the deceased belonged to and find out how to handle his/her membership status. Greek organizations may want to hold a special ceremony for your loved one. A return will need to be filed for the individual, as well as for an estate return. Keep monthly bank statements on all individual and joint accounts that show the account balance on the day of death. 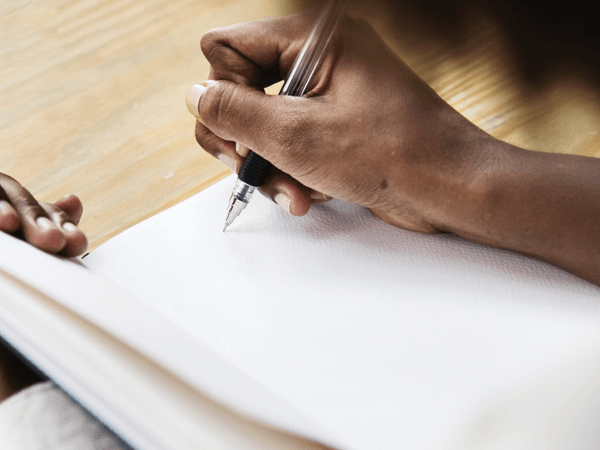 Writing and delivering a eulogy is a therapeutic tool to help deal with your grief, and being chosen to give a eulogy is an honor and should be treated that way. Here are some tips for writing and delivering an eloquent and memorable eulogy. Talk with family members, close friends and co-workers to get important information on the deceased. Some important information to include in the eulogy is the persons family and other close relationships, their education/career, hobbies or special interests, places the person lived or traveled to, and any special accomplishments they had. Jot down your ideas by whatever means are most comfortable and familiar to you. Create an outline of your speech, and fill in the information that you gathered about the person. This is not a toast at a wedding where you can make off-the-cuff remarks, and you should not ad-lib a eulogy. Writing it all down allows you to include and remember every detail you wanted in your eulogy. When you bring a copy of your eulogy to the podium make sure it is easy to read, print it out in a large font, or if it is handwritten leave a few spaces between the lines. Keep in mind your time constraints; it’s best to keep things on the short side, especially if there are other speakers. Your first draft will not be the last. When you think you are done, sleep on it and look it over in the morning when it is fresh again, that will be the time to make any necessary revisions. Read over your eulogy several times in order to become familiar with it. Practice in front of a mirror, read it over to some friends or family and have them give you feedback. Become familiar with your speech so you can recite it without making it look like you’re reading from a script. The more you practice the more comfortable you will be. A funeral is not a roast, however, there is room for humor in your eulogy. Fondly remember a story about the person that everyone can relate to. Keep it appropriate; there will be children and the elderly there that may not share the same sense of humor. Laughter is truly the best medicine, and some well-placed humor will help people cope, and will bring back fond memories of the deceased. Funerals are an extremely emotional event; nobody expects you not to shed a few tears. However, if you feel that you will be too strongly overcome by your emotions, have a back-up plan in place where someone you trust can deliver the eulogy for you. Give them a copy well in advance if you feel this could be an issue. Have a glass of water as well as tissues handy. Like everything in society, funeral etiquette and what is expected of you has evolved over time. As always common sense and good discretion is the best guide to proper funeral etiquette. Here are a few guidelines. Express your condolences. It’s not easy to come up with the words to offer sympathy to someone who has just lost a loved one. You don’t need to be a poet, simply saying something like “I am sorry for your loss, my thoughts and prayers are with you and your family” is enough. If you can’t be at a funeral service in person, sending a card or leaving a message on a memorial website is a perfect way to express your sympathy. Dress appropriately. Gone are the days of dressing up in all black for a funeral, but jeans and a t-shirt isn’t exactly acceptable either. You should still dress to impress and avoid any bright or flashy colors. Wearing what you would wear for a wedding or a job interview would be the most appropriate. Sign the register book. The family will keep the register book as a memento for years. Be sure to include your full name and relationship to the deceased. Give a gift. You don’t need to go overboard with your gift, after all it is the thought that counts. Suitable gifts include; flowers, a donation to the charity of the family’s choice, or you can make a commitment of service to the family at a later date. A commitment of service can be something as simple as cooking them dinner, or offering to clean up their house, any of the “little” things that may be neglected while a family deals with death. Make sure you provide a signed card so the family knows who gave the gift. Keep in touch. You may feel that the family needs their space and time to grieve, but a simple phone call or note after the funeral lets the family know you care. With social networking leaving a quick note is as simple as a click of a mouse. The months following a death is when grieving friends and family need the most support. Bring your cell phone. Your phone ringing will be highly inappropriate and will cause a disturbance, so turn any ringers or notifications off. Even better, leave your phone at home or in your car, a funeral is not the time to be texting or checking your messages. Allow your children to be a distraction. From a very young age children are aware of death, and if the funeral is for someone that was close to them (grandparent, aunt, uncle) they should be given the option to attend. However if it is not appropriate for your child to be there, and if you feel they will cause a commotion, leave them with a babysitter. Be afraid to remember the good times. Funerals are obviously a time of grieving and mourning, but remembering the good times helps with the healing process. Sharing a funny and appropriate story is acceptable, and in some cases exactly what the deceased would have wanted. Overindulge. If food or drink is served, do not over do it. Have a bite to eat before you go to the service, you do not want to be that guy parked at the snack table. If alcohol is served, limit yourself to one or two, do not become inebriated and risk doing something inappropriate. Offer to notify his/her family and friends about funeral arrangements. House-sit to prevent burglaries during the funeral and visitations. Help answering the phone and greeting visitors. Keep a record of everyone who calls, visits, or has been contacted. Help coordinate the food and drink supply. Offer to pick up friends and family at the airport and arrange accommodation. Offer to provide transportation for out-of-town visitors. Help him/her keep the house clean and the dishes washed. Prepare or provide dinner on a day that is mutually acceptable every week for two to three months. Offer to help with yard chores such as watering or pruning. Feed and exercise any pets. Write notes offering encouragement and support. Offer to drive or accompany the bereaved to the cemetery regularly. Offer to house-sit so the bereaved can get away or visit family out of town. Make a weekly run to the grocery store, laundry, or cleaners. Help with the thank you notes and/or other correspondence. Anticipate difficult periods such as anniversaries, birthdays, holidays, and the day of death. Always mention the deceased by name and encourage reminiscing. If you would like to join our support group, would like information on individual grief counseling, or if you have any questions regarding the resources available to you and your family, please do not hesitate to call us at (330) 467-4500. The death of a loved one is life’s most painful event. People’s reactions to death remain one of society’s least understood and most off-limits topics for discussion. Often, grievers are left totally alone in dealing with their pain, loneliness, and isolation. When we experience a major loss, grief is the normal and natural way our mind and body react. Everyone grieves differently, and at the same time, there are common patterns people tend to share. For example, someone experiencing grief usually moves through a series of emotional stages such as shock, numbness, guilt, anger, and denial, and physical responses are typical also. They can include sleeplessness, inability to eat or concentrate, lack of energy, and lack of interest in activities previously enjoyed. Your grief is unique. No one will grieve in exactly the same way. Your experience will be influenced by a variety of factors: the relationship you had with the person who died, the circumstances surrounding the death, your emotional support system, and your cultural and religious background. As a result of these factors, you will grieve in your own special way. Don’t try to compare your experience with that of other people or to adopt assumptions about just how long your grief should last. Consider taking a “one day at a time” approach that allows you to grieve at your own pace. Express your grief openly. By sharing your grief outside yourself, healing occurs. Ignoring your grief won’t make it go away; talking about it often makes you feel better. Allow yourself to speak from your heart, not just your head. Doing so doesn’t mean you are losing control, or going “crazy”, it is simply a normal part of your grief journey. Find caring friends and relatives who will listen without judging and seek out those persons who will “walk with, not in front of” or “behind” you in your journey through grief. Avoid people who are critical or who try to steal your grief from you. They may tell you, “keep your chin up” or “carry on” or “be happy.” While these comments may be well-intended, you do not have to accept them. You have a right to express your grief; no one has the right to take it away. Experiencing a loss affects your head, heart, and spirit, so you may experience a variety of emotions as part of your grief work. Confusion, disorganization, fear, guilt, relief, or explosive emotions are just a few of the emotions you may feel. Sometimes these emotions will follow each other within a short period of time, or they may occur simultaneously. As strange as some of these emotions may seem, they are normal and healthy. Allow yourself to learn from these feelings and don’t be surprised if out of nowhere you suddenly experience surges of grief, even at the most unexpected times. These grief attacks can be frightening and leave you feeling overwhelmed. They are, however, a natural response to the death of someone loved. Find someone who understands your feelings and will allow you to talk about them. Your feelings of loss and sadness will probably leave you fatigued; your ability to think clearly and make decisions may be impaired; and your low energy level may naturally slow you down. Respect what your body and mind are telling you. Nurture yourself: get daily rest; eat balanced meals; lighten your schedule as much as possible. Caring for yourself doesn’t mean feeling sorry for yourself, it means you are using survival skills. Reaching out to others and accepting support is often difficult, particularly when you hurt so much. But the most compassionate self-action you can take during this difficult time is to find a support system of caring friends and relatives who will provide the understanding you need. Find those people who encourage you to be yourself and acknowledge your feelings - both happy and sad. While there is no requirement to use a lawyer, probate is a rather formal procedure. One minor omission, one failure to send Great Aunt Tillie a copy of the application, or a missed deadline, can cause everything to come to a grinding halt or expose everyone to liability. The death of a family member or friend sometimes tends to bring out the very worst in some people. Experience shows that even in close families there is a tendency to get overly emotional about relatively trivial matters at the time of a loved one’s death, such as who gets the iron frying pan and who gets the kettle. Such minor matters, or any delays or inconveniences can be upsetting, pose issues of fairness, and create unfounded suspicion among family members. Thus it generally is a very good idea to “let a lawyer do it”. Wills, probate, administration with no will, social security or pension plan benefits, veterans benefits, insurance benefits, joint property, beneficiary designations, claims of dependents and creditors, probate fees, income and estate taxes, and other issues may appear overwhelming after the death of a loved one. Sorting and settling all the details may be confusing because many of the terms are unfamiliar. This guide is not intended to be a substitute for specific individual tax, legal, or estate settlement advice, as certain aspects of the described considerations will not be the same for every estate. Accordingly, where specific advice is necessary or appropriate, consultation with a competent professional is strongly recommended. Most of all, keep in mind that while it is important to take care of all of these activities, it’s more important to move slowly at a pace that is comfortable for you during your grieving process. Named beneficiaries for certain kinds of property, although sometimes wills contain beneficiary designations that overrules previous ones. Money in a pension plan, Individual Retirement Account (IRA), 401(k) plan, or other retirement plan. Probate is the process that transfers legal title of property from the estate of the person who has died (the decedent) to their proper beneficiaries. The term probate refers to a proving of the existence of a valid will, or determining and proving who one’s legal heirs are if there is no will. Since the deceased can’t take it with them, probate is the process used to determine who gets their property. Probate is not cheap or quick. Because probate requires court approval, the process can tie up property for a year or more. In addition, probate may be expensive. Estate lawyers who may charge a flat fee, percentage, or an hourly rate, usually handle probate. Their fees and court costs may cost up to 5% of the estate’s value, or more if problems or litigation arise. A will is a very personal document, and may reveal private family and financial issues and concerns. But once it is entered into the court record, it becomes public, and can be inspected by anyone. Probate is a legal process where your named executor goes before a court to have the will proven as valid and to be given the right to administer estate property and proves the will. Typically, probate involves paperwork and if the will is challenged, a court appearance by lawyers. The lawyers and court fees are paid from estate property, which would otherwise go to the people who inherit the deceased person’s property. Probate usually works like this. After your death, the person you named in your will as executor - or, if you die without a will, the person appointed by a judge - files papers in the local probate court. The executor proves the validity of your will and presents the court with the value of your property. The primary function of probate is transferring title of the decedent’s property to their heirs and/or beneficiaries. If there is no property to transfer, there is usually no need for probate. The probate process also provides a mechanism for setting a deadline for dependents and creates a time frame for the distribution of the remainder of the estate’s property to ones’ rightful heirs. Identifying and cataloging all property owned by the deceased. Proving that the will is valid and legal. 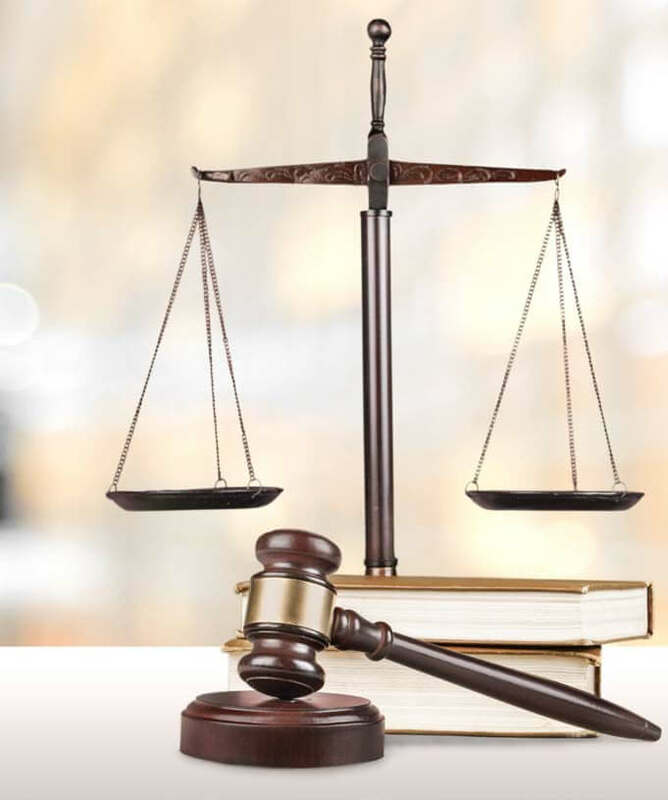 The duration varies with the size and complexity of the estate, the difficulty in locating the beneficiaries who would take under the will, if there is one or under provincial law where there is no will. Delays may occur because of tax filing obligations. If there is a will contest, or anyone objects to any actions of the executor or estate trustee, the process can take a long time. Some matters have taken decades to resolve, but a year may be closer to the norm. What is the probate process of an uncontested will? Typically the person named as the deceased’s executor goes to a lawyer experienced in probate matters who then prepares an application for the court and takes it, along with the will and an affidavit by a witness to the will, and files it with the probate court. If no objections are received, and everything seems in order, the court approves the petition, and appoints the executor. In most circumstances, the executor named in the will takes this job. If there isn’t a will, or the will fails to name an executor, the probate court names someone (sometimes called an administrator) to handle the process - most often the closest capable relative, or the person who inherits the bulk of the deceased person’s assets. No formal probate may be required if the property of the decedent does not require probate to transfer legal title. In such a case, the executor or estate trustee named in the will may administer the estate without obtaining probate. Or where there is no will, a close relative or friend may agree to serve as an informal estate representative. Normally, families and friends choose this person, and it is not uncommon for several people to share the responsibilities of paying debts, filing a final income tax return, and distributing property to the people who are supposed to get it. Probate rarely benefits your beneficiaries, and it always costs them money and time. Probate may make sense if your estate will have complicated problems, such as many debts that can’t easily be paid from the property you leave. Whether to spend your time and effort planning to avoid probate depends on a number of factors, most notably your age, your health, and your wealth. If you’re young and in good health, a simple will may be all you need - adopting a complex probate avoidance plan now may mean you’ll have to re-do it as your life situation changes. And if you have very little property, you might not want to spend your time planning to avoid probate. But if you’re older (say, over 50), in ill health, or own a significant amount of property, you’ll probably want to do some planning to avoid probate. Probate saving strategies can be complex and may require a lawyer to ensure your property is distributed the way you want, and to avoid income tax issues. How do you settle an estate? The deceased remains a legal entity through their estate - the assets, debts, and obligations of the individual need to be settled, we can help you complete required paperwork to wrap up the deceased’s affairs.